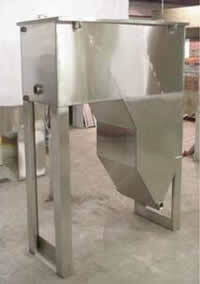 Product image of our Inclined Plate Clarifiers (IPCL Series). Effectively Remove TSS from Wastewater! 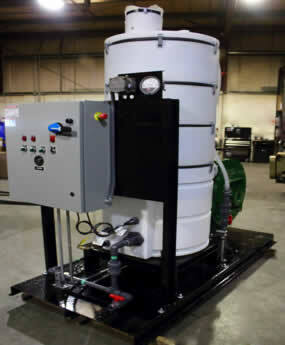 Our Inclined Plate Clarifiers will precipitate and remove suspended material and reduce TSS in water. The flow pattern is simple. 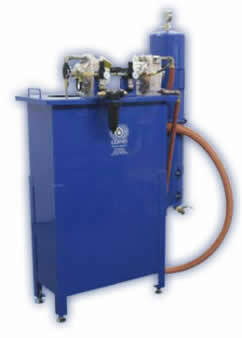 The water enters the side of the clarifier and initially goes into the inlet compartment. This compartment disperses the energy in the water so the heavier solids can drop out of suspension. Then the water travels up a series of closely-packed, stainless plates inclined at an angle of 45° or 55° . These plates interrupt the upward flow of the suspended particles which then drop out of suspension and slide down the plates to the hopper. 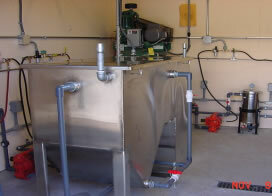 The clarified water then continues to the top of the plates and exits the system through the effluent outlet. 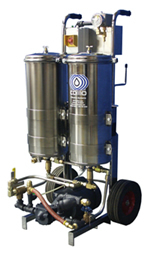 If you have to treat chemical and mechanical emulsions or dissolved solids, a Mix and Flocc Tank can be installed before the clarifier. The chemicals in the tank will precipitate out the emulsions and dissolved solids, while the mixers keep them in suspension as they enter the clarifier. 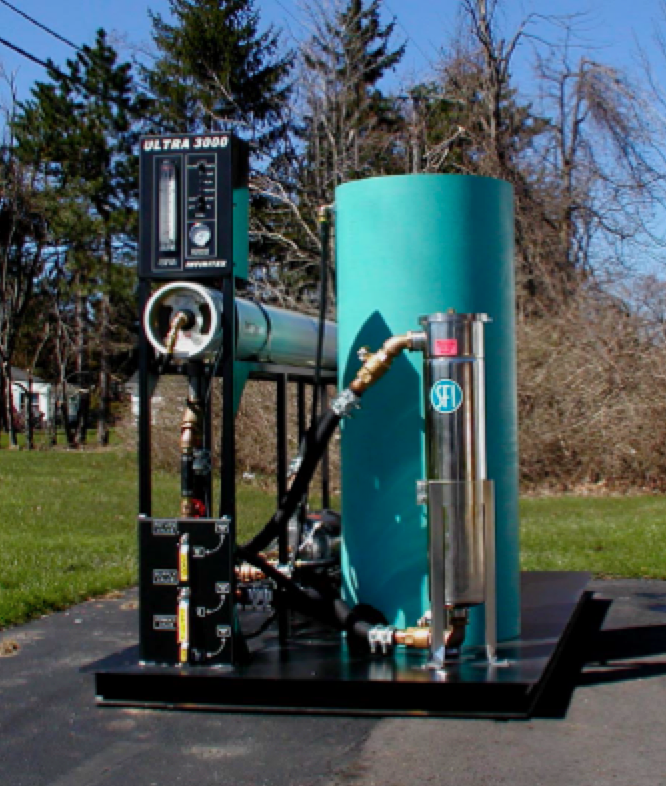 This specialized design allows it to perform all of the functions of a conventional solids contact clarifier at a fraction of the space and cost.